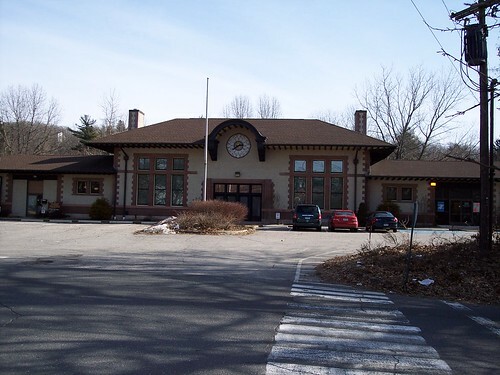 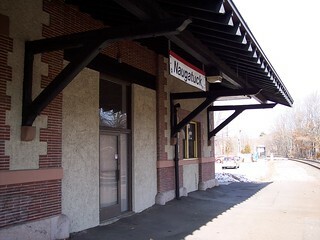 The large former station building at Naugatuck. 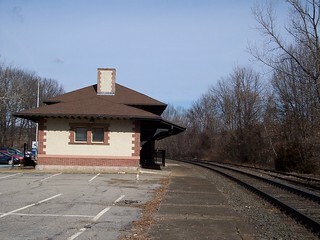 The track side and former platform at the old station. 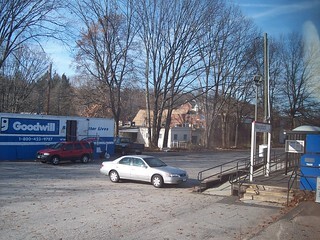 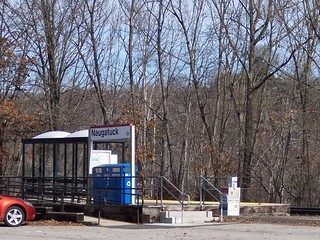 The current Naugatuck station has a small shelter and low level platform. 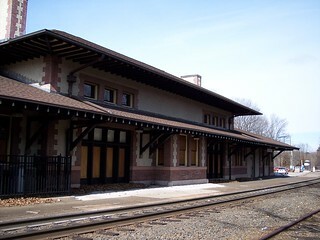 The old station does still have a modern sign though.